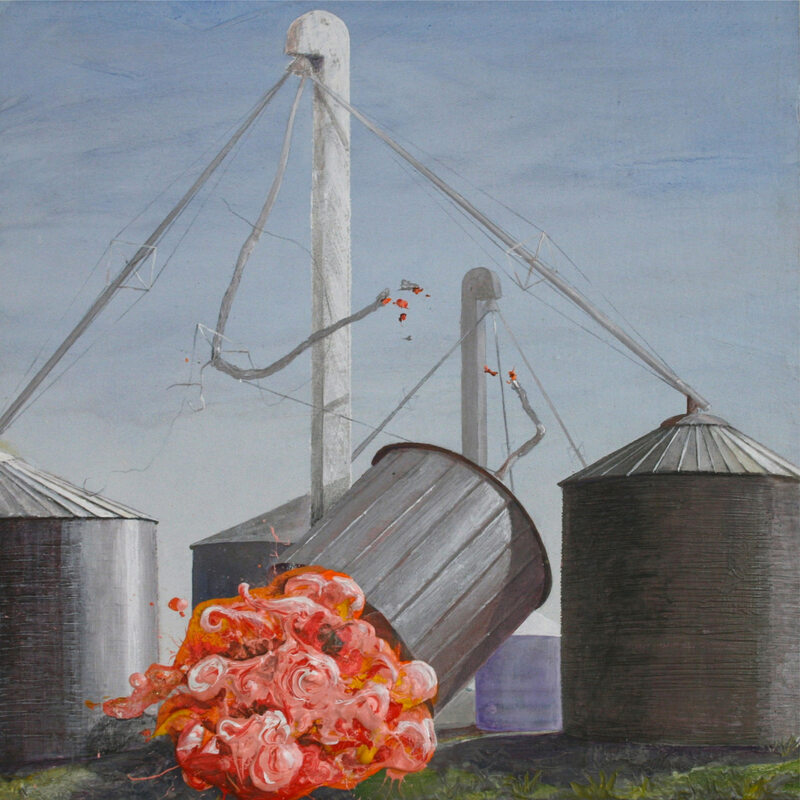 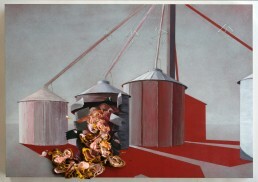 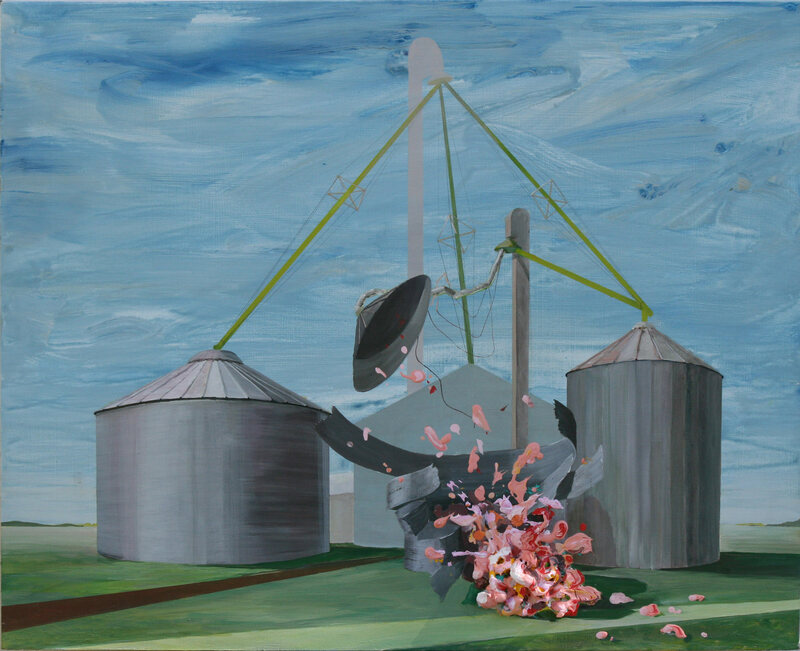 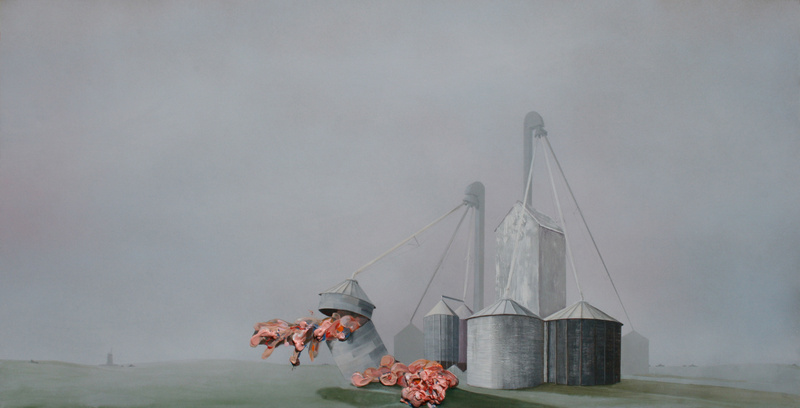 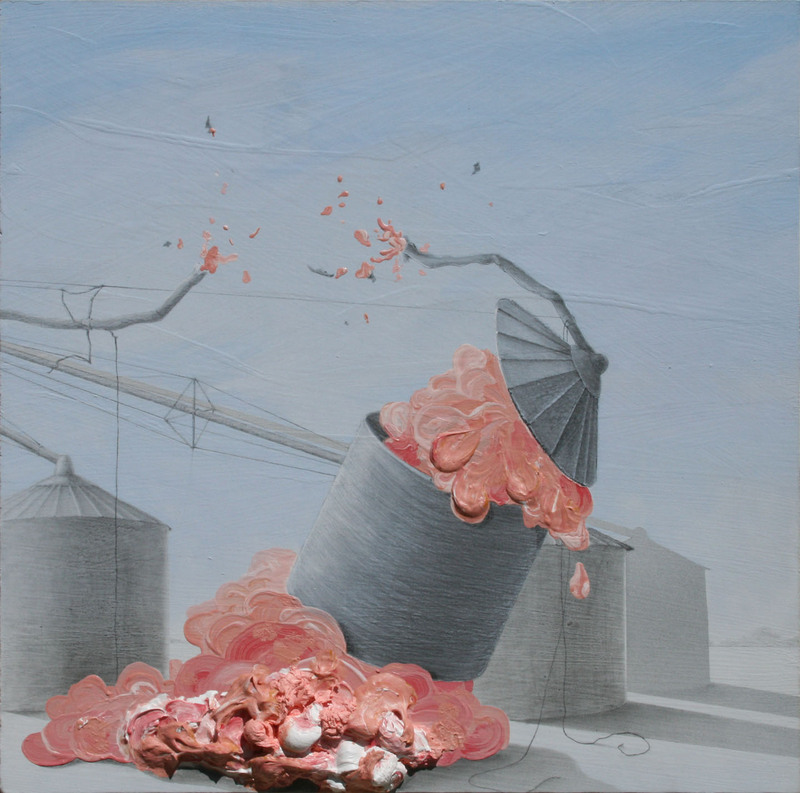 A series of paintings that show an agricultural system at the point of breakdown. 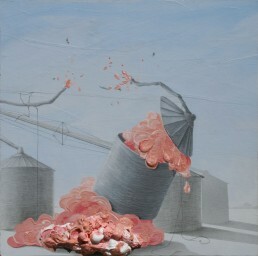 Instead of flames or grain one would expect to find in a silo explosion, fleshy pink goo bursts and oozes from the bins. The explosions, reminiscent of bubble gum, frosting or viscera, are applied with thick impasto and are at once lick-able and repulsive – just like the body. 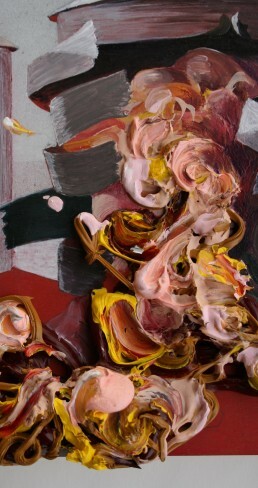 The idea is to show the undercurrents of biological need inherent in the complex systems humans create.